Each method has its pros and cons which I will outline later in this post. Pee pad training can be a useful method for those who live in apartments or have no yard for the dog to go potty in. It can also be useful for those who wish to gradually train their dog to go outside without having to confine them to a crate at any time. In order for this method to work best, it must be implemented immediately. The longer your puppy goes on your floor, the more difficult it will be to break them of this habit. Allowing them go potty on your floor will also leave a scent that encourages him or her to go on your floor rather than the pee pad. The pad must also be changed regularly or the puppy may not want to go on it if it becomes too soiled. The use of a pee pad spray can aid in training. This spray encourages the puppy to go where it is sprayed. If you have ever seen a dog sniffing around for a spot to go potty you will understand the concept behind this spray. A tray will ensure the pad does not get torn or bundled up by the puppy. A urine scent removal spray can be helpful to remove the scent from spots on your floor where your puppy has gone potty previously. 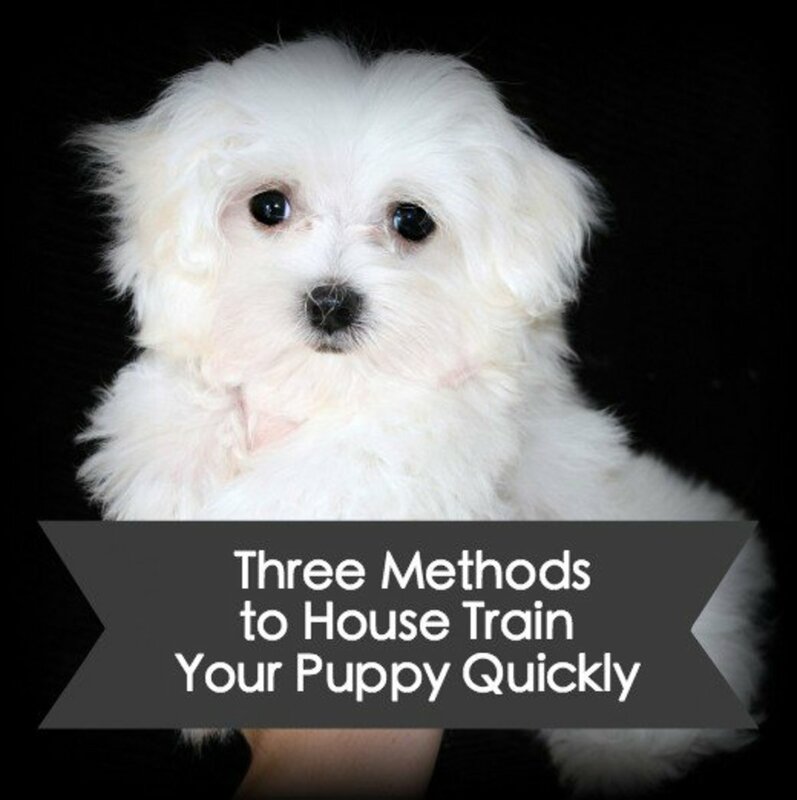 This method can be used to gradually train the puppy to go outside by continuously moving the pee pad towards the door, and then eventually having it outside. Once the puppy is used to going on the pee pad outside, you can then remove it completely. Your puppy is then house trained. 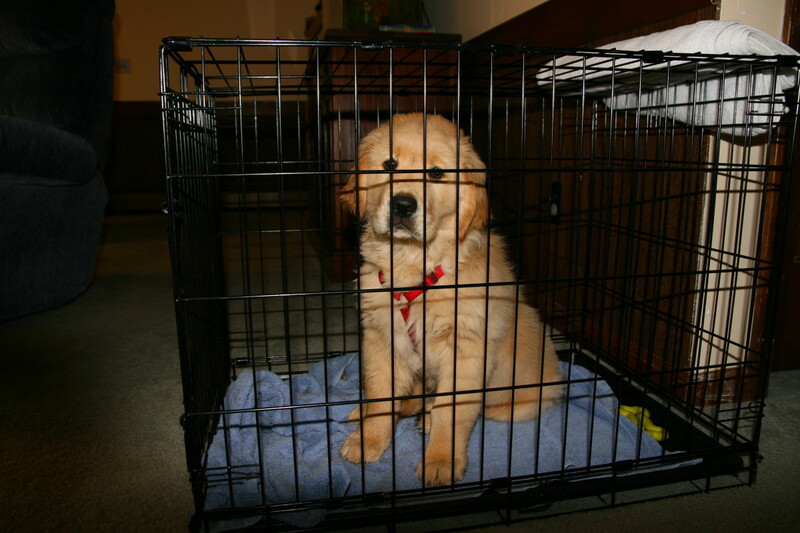 Crate training is one of the fastest and most reliable methods. It is useful for nearly everyone, and it is especially useful for people in apartments who have an outside area where they want their puppy to go potty. This method is typically the most likely to succeed of the three methods outline here. 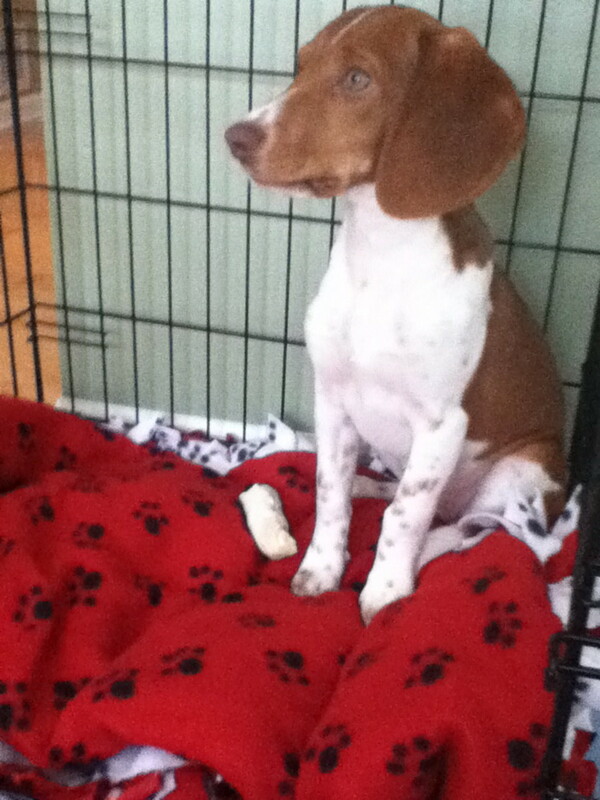 It simply involves confining the puppy to a wire crate during the night and at any time you are absent from the house. Dogs do not want to go potty in a confined space. Once you let the puppy out in the morning, you must immediately let him or her go outside to go potty. Remember, punishing your dog after accidents is not an effective way to train. 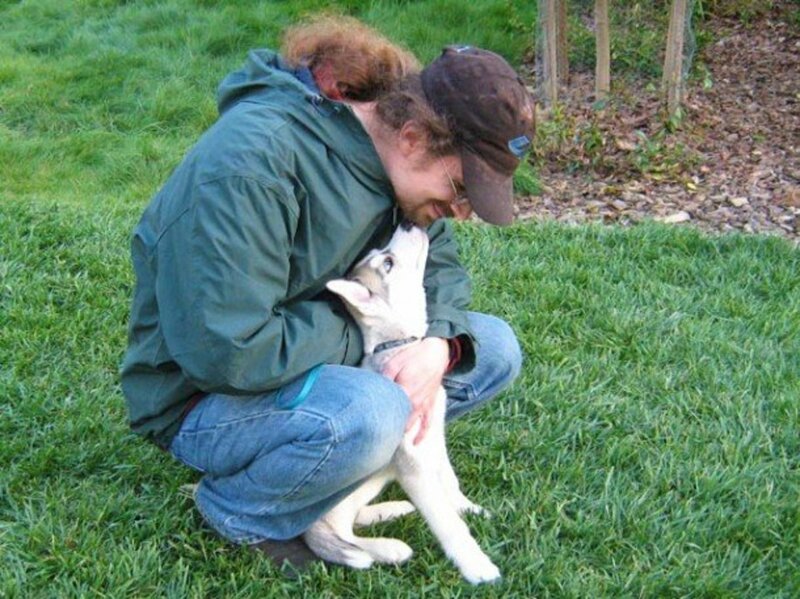 Reward the puppy when they go potty outside. Treats and praise are usually the most effective way to do this. 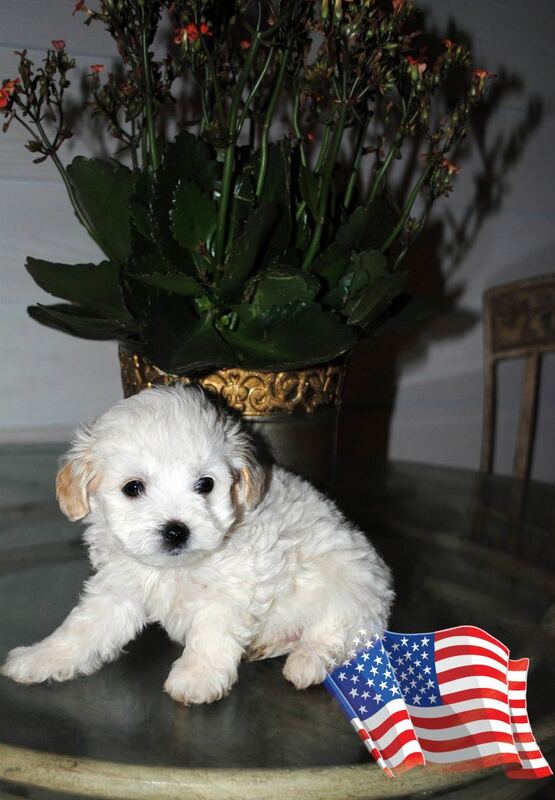 Approximately 15-20 minutes after the puppy eats or drinks you should let the puppy outside to go potty. Eventually, the puppy will want to go outside to go potty and the crate will not be necessary; however, many dogs learn to enjoy there crate as their private spot and will stay inside it even when the door is open. 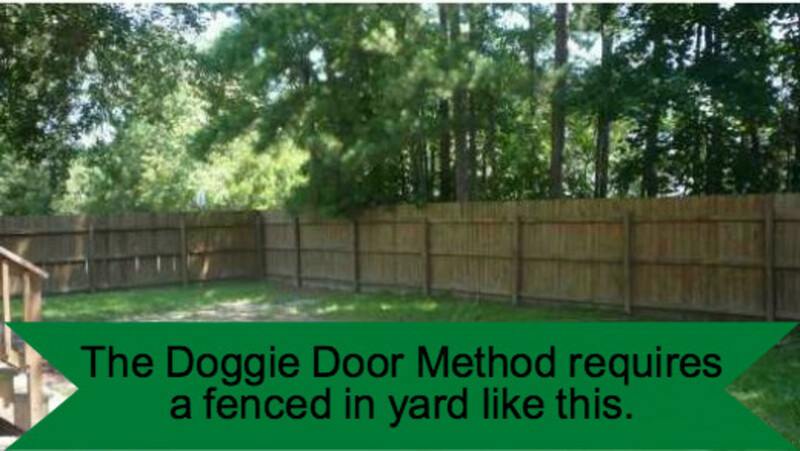 This the least labor intensive method, and it is only useful for owners with a fenced-in yard. This allows the puppy to get plenty of exercise and have outside fun. 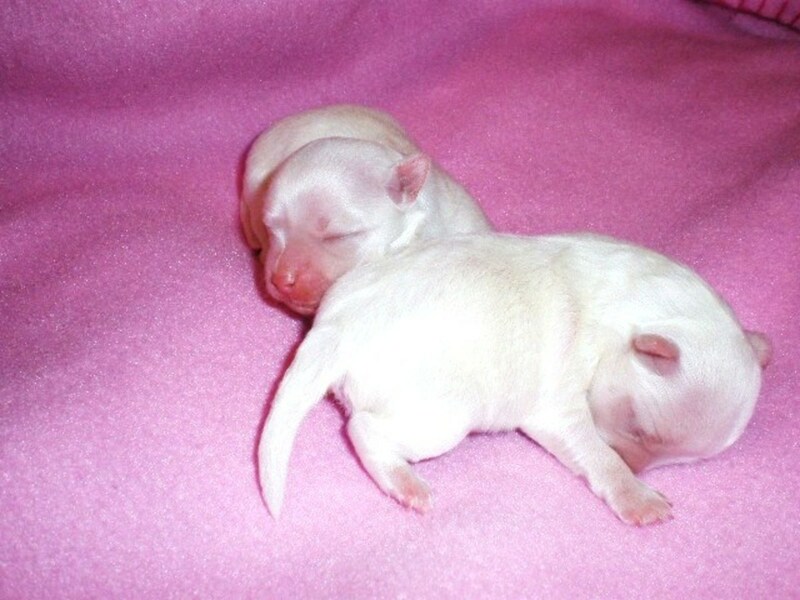 This method allows puppies to go inside or outside at will, which animals typically greatly enjoy. 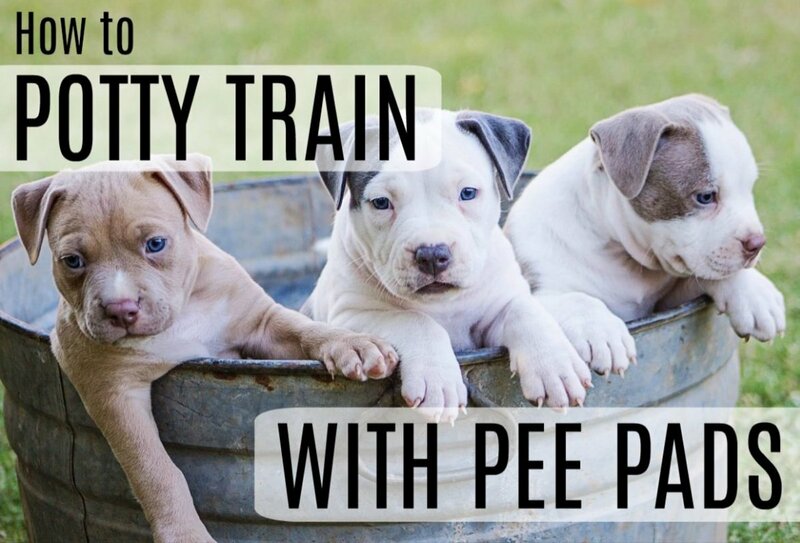 Dogs naturally prefer to go potty outside so this method can work well for many people. This method may need to be used in conjunction with pee pad or crate training until the puppy knows to only go outside. You may need a professional to install your doggie door in your wall our door. Depending on your technical ability you may be able to install your own doggie door. Keep in mind to check on your dog outside regularly with this method to ensure they are safe. This is particularly important with toy breeds, which can be attacked by birds of prey. 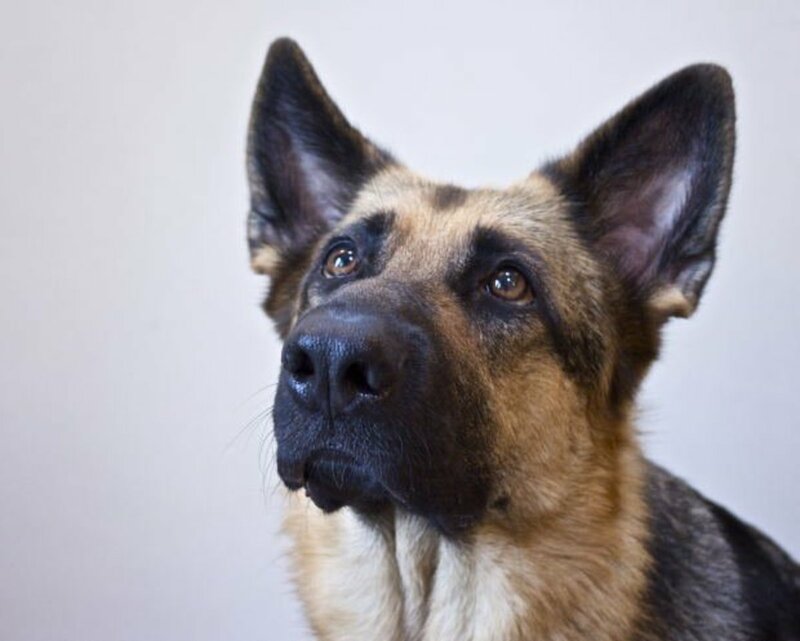 Was this article helpful in house training your pet? 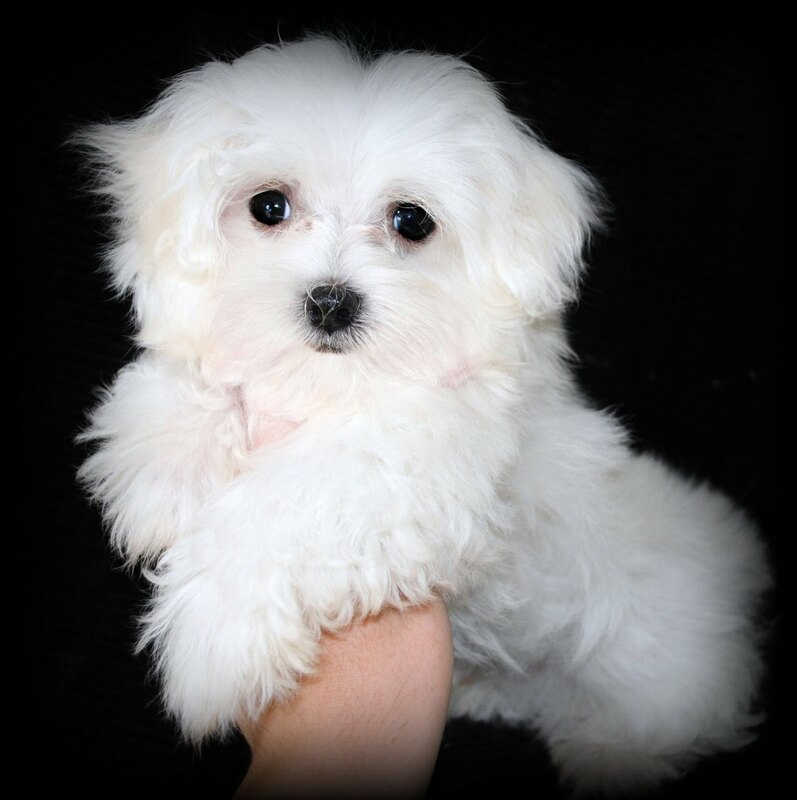 I recently got a maltipoo and she is 12 weeks old. We keep her in a crate at night and take her out during the day. We also have potty pads down i case she really needs to go while inside.she has accidentanfrim time to time. Am I doing it right?? 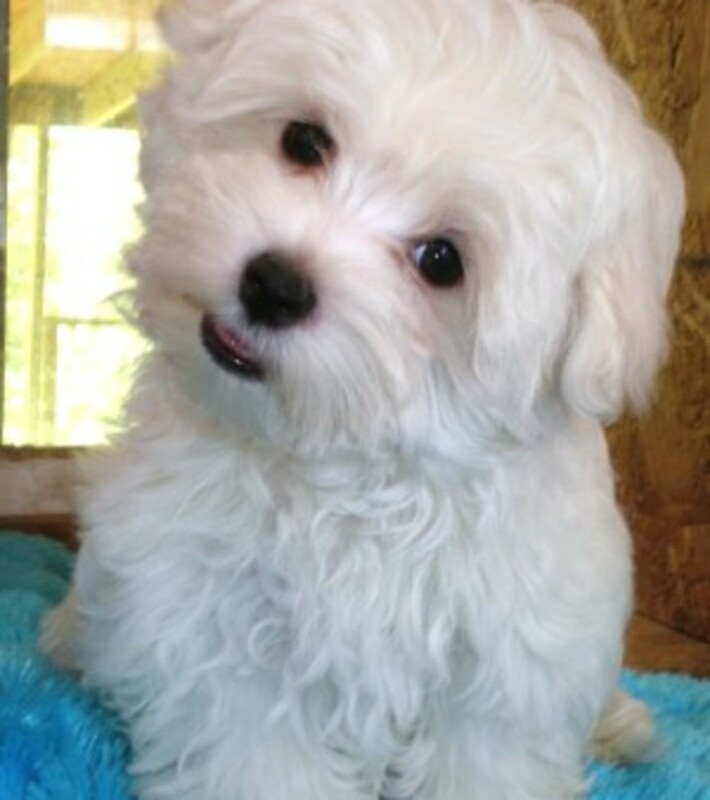 I just got a maltipoo puppy. I am trying to house train her. We work so when we are gone we leave her in her crate with her bed on one side and pee pads n the other sidebur I take her out in the morning,mid morning, after noon, and at night . She sleeps in her crate at night but she has been crying wanting out. We don't know what to do when she cries at night and am I training her the right way?? Just need some help! Thanks for the tips. I trained my dog on pee pee pads and then going out. Now if I go out I leave a pad out just in case. It works.